Something a little different from me today. Flowers. Copics on Vellum. And a bit of Copic Splattering. What's that all about then? Well. 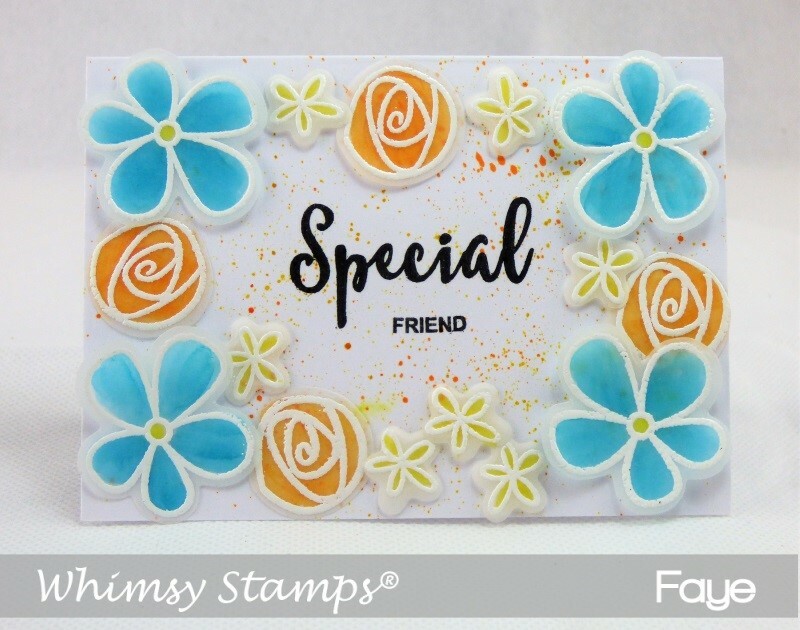 I've been playing with the July Paper Door Kit from Whimsy Stamps. The kits are always crammed full of goodies. But this month there are sweeties, (can you see where my priorities lie?!) 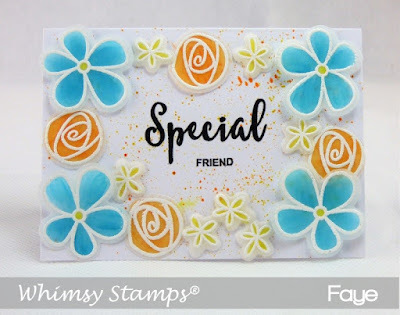 Distress Ink Pads, a rather gorgeous paintbrush, this fab floral stamp set, the coordinating dies and a hefty stash of coordinating papers. Yum. Ok, that's the sweets gone.